Imagination’s new ‘Imagination Academy’ is sponsoring The Bartlett School of Architecture’s inaugural Donaldson Lecture which will be delivered by artist Grayson Perry CBE. The lecture, which takes place at Conway Hall on Wednesday 13 January 2016, will be the first in a series of special events celebrating 175 years of architectural education at The Bartlett School of Architecture, the founding school of The Bartlett, UCL’s Faculty of the Built Environment. Professor Bob Sheil, Director of The Bartlett School of Architecture said, "We’re proud that the new Imagination Academy is sponsoring the first event in our 175 series. Imagination shares with us a desire to nurture new talent and this collaboration will be a great opportunity for our students to forge successful and fulfilling careers in the creative industry." 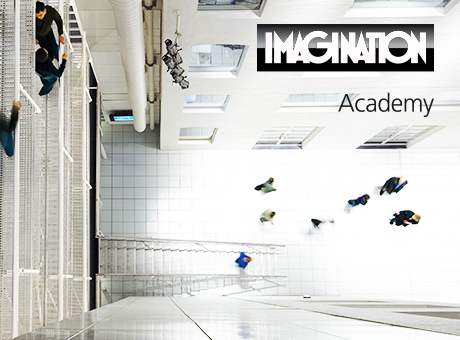 The Imagination Academy is a new global initiative from Imagination which aims to develop, attract and retain world-class talent, and is committed to education, creativity and commerce in a competitive marketplace. It focuses on developing young talent through the Imagination Academy’s internship programme, innovative and committed employee training and development, and academic partnerships with education experts across the Americas, EMEA and Asia Pacific. The Imagination Academy will again be partnering with The Bartlett School of Architecture later in the year to award bursaries to some of the school’s outstanding new generation of talent. Imagination’s Group CEO and Global Creative Director Douglas Broadley said, "This collaboration with The Bartlett School of Architecture is a great launch event for the Imagination Academy and will be the first of many collaborations between Imagination and some of the most creative, innovative and respected academic institutions across the globe."